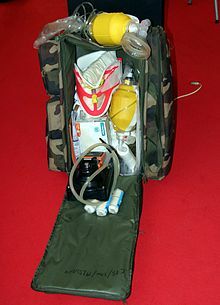 First Aid kits are used to perform first aid on injured people. Eye wash solution to flush the eyes. A small vial of super glue, carefully used, can close cuts. This page was last changed on 9 July 2018, at 21:59.